[SQ1] The Anti-Cancer Diet is LIVE! 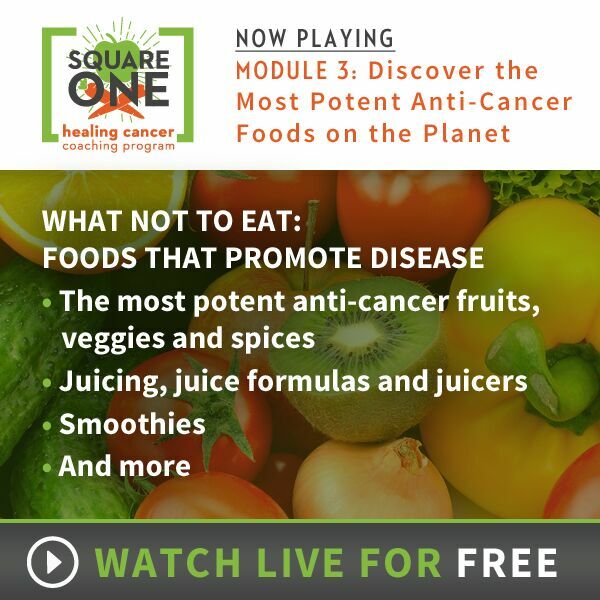 SQUARE ONE Module 3: The Anti-Cancer Diet part 1 is LIVE now! Nutrition is the foundation of health. And I get more questions about the best anti-cancer foods and the best cancer healing diet than any other topic. So tonight’s SQUARE ONE Module is ALL about it (tomorrow’s is too)! In Module 3, I cover the basics of anti-cancer nutrition. I will teach you exactly what to eat, and what not to eat, and show you the the nutritional science that supports it all. This is a simple yet powerful, evidence-based dietary protocol. Is SQUARE ONE available to watch after the free screening? Yes! The SQUARE ONE Program is available for you to own forever and ever, and to share with people you care about. There are three different package options and it’s super discounted right now (50% Off) during the free screening. 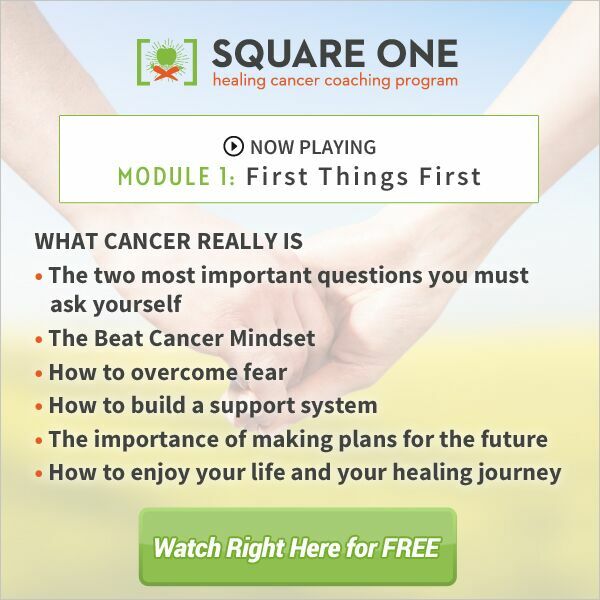 SQUARE ONE Module 2: Why You Have Cancer & How to Eliminate the Causes is now LIVE! And it will stay online for you to watch for the next 24 hours. In Module 2 I will help you connect the dots and identify the many factors in our world and in your life that are contributing to cancer. Once you know the causes of cancer, you can remove them from your life, making it easier for your body to heal and and stay cancer-free! Over the past couple of weeks, I have posted about the free screening of SQUARE ONE and about the man who created it, Chris Wark. Chris Wark was diagnosed with advanced metastatic colon cancer in 2003 when he was just 26 years old. But he opted out of chemo and completely eradicated cancer from his life with nutrition and non-toxic therapies. Today, nearly 14 years later, he’s alive and well, in the best shape of his life, and he’s cancer free. And his mission is to share his message of hope and healing with us. 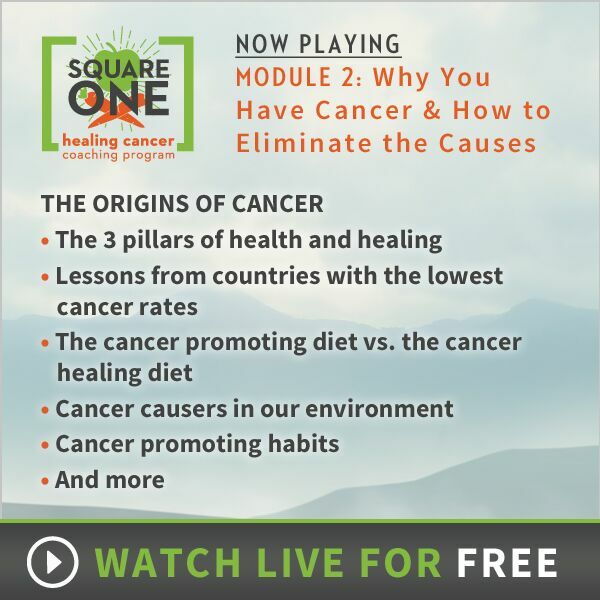 Now you may be thinking you don’t have cancer – why would we all be watching SQUARE ONE tonight? We actively want to prevent cancer. We were given a “sneak peek” of SQUARE ONE (actually the full 10 modules, a few months ago!) and I can tell you, what we have learned definitely applies to EVERYONE. 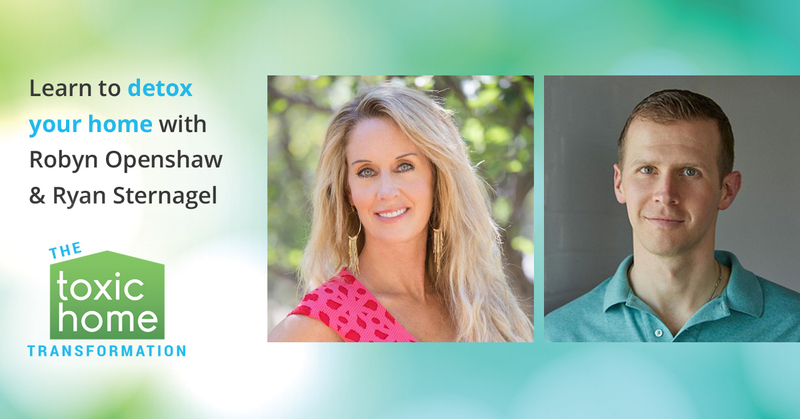 Chris’s SQUARE ONE program takes you step-by-step through the healing process in a simple straightforward way that is clear, hopeful, and empowering, without being overwhelming or confusing. 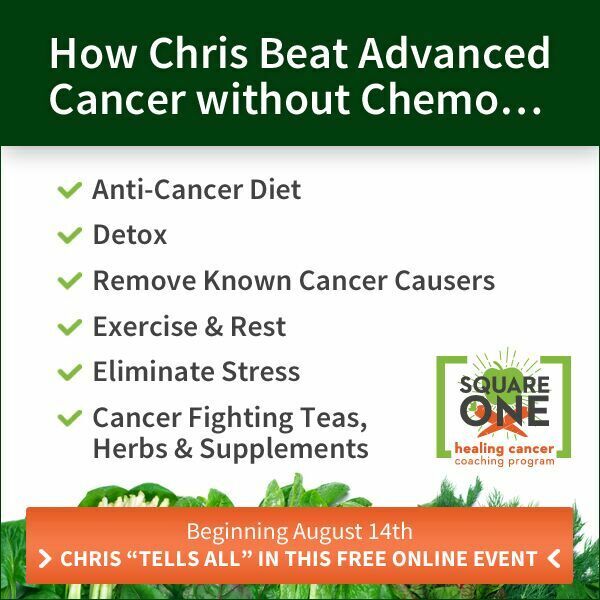 And, the information Chris shares in SQUARE ONE covers the exact strategies he used (and countless others have used) to heal cancer including the “anti-cancer diet,” mindset, detoxing, spirituality, supplementation, testing, how to eliminate fear and stress, and a whole lot more. We’ve seen the testimonials from people that are reversing cancer using what they’ve learned in SQUARE ONE. Some were posted here a few months ago (screen shots). We encourage you to take a couple of minutes right now and check out Chris’ short video about the program right here. While you’re there, you can get on Chris’ notification list and he’ll send you the link to watch each Module as he releases them LIVE – starting with Module 1 tonight. P.S. 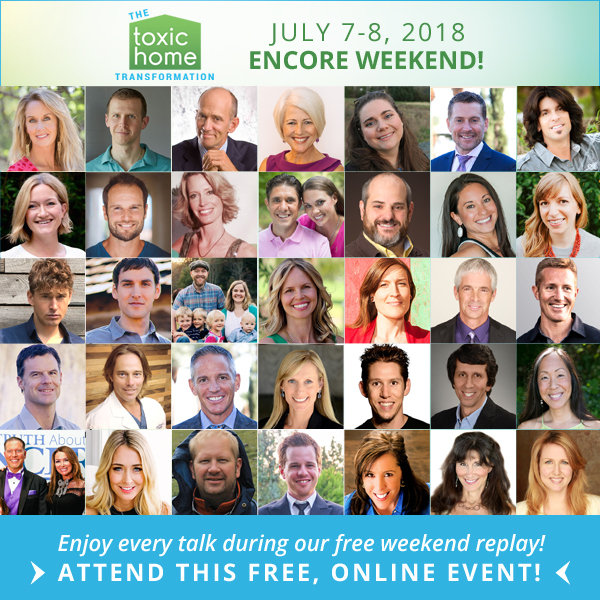 This is a limited time free online screening, don’t miss it – reserve your spot here! 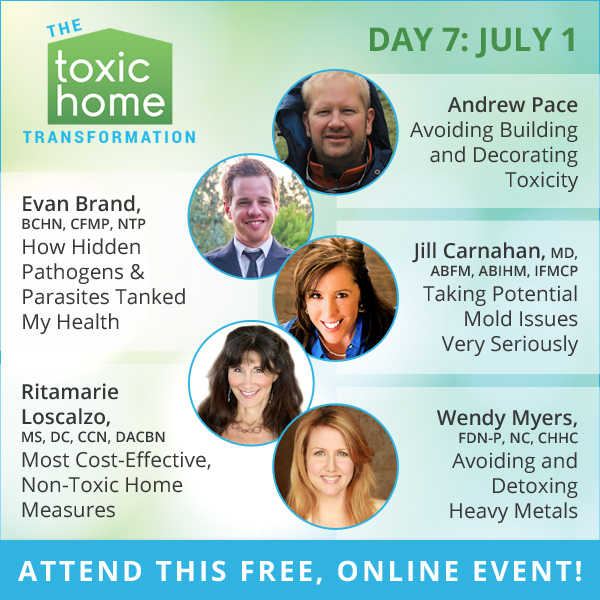 [The Toxic Home Transformation Summit]: Day 7 – Mold, yeast, viruses (& other pathogens) or heavy metal exposure could be the unexplained cause of health problems! 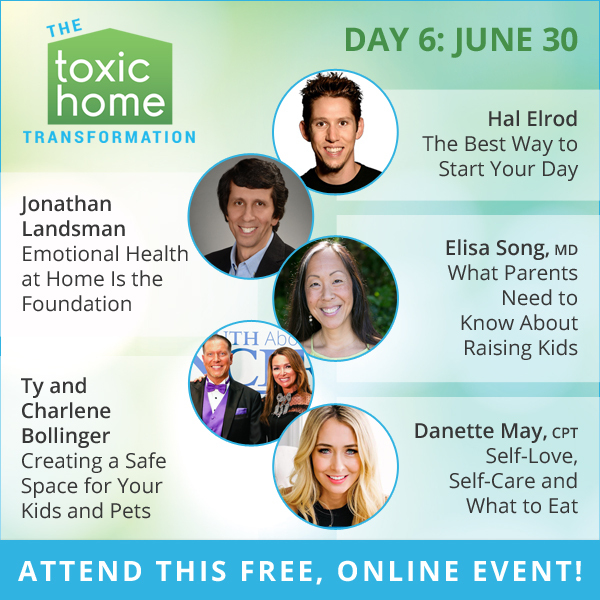 Today at The Toxic Home Transformation, you’ll learn about one of the least talked about but possibly most damaging aspects of what can go wrong in your home: mold, yeast, viruses (and other pathogens) or heavy metal exposure could be the unexplained cause of health problems in your family! 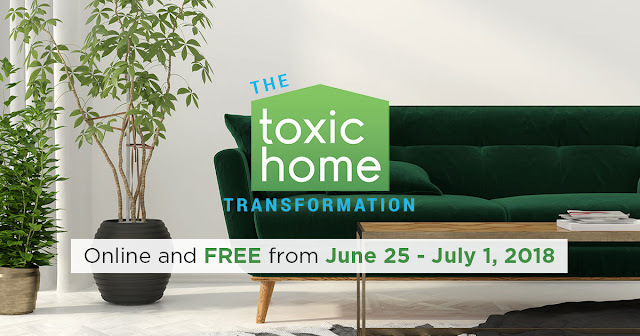 [The Toxic Home Transformation Summit]: Day 6 – How “energies” have to be cleaned up if you want a healthy, clean home environment! Ever notice when two people get into a terrible argument, you can “feel it” in the room, even if you walk in after the fact? 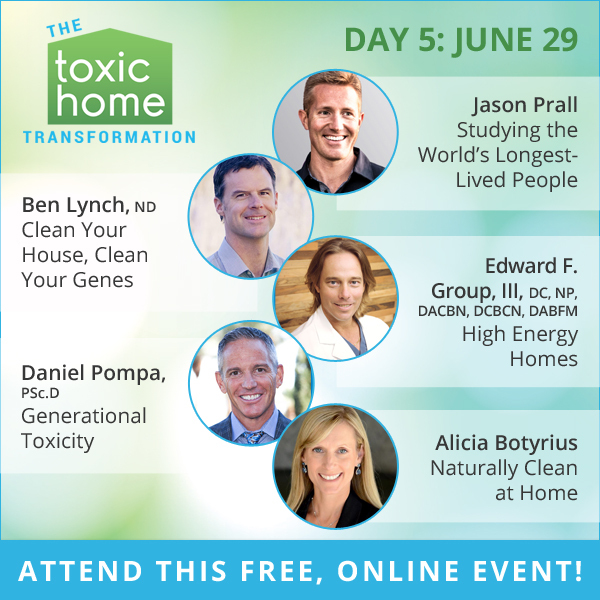 Today at The Toxic Home Transformation, learn how energies have to be cleaned up if you want a healthy, clean home environment. Plus, “bone up” on pet cancer, keeping children healthy and the power of having a morning routine!